Leigh Creek Energy’s (LCK) said its syngas resource at Leigh Creek has received reserve certification, unlocking South Australia’s largest gas reserve for commercial use. LCK announced that it had received a PRMS certificate of 1,153PJ (petajoule) 2P syngas reserves, making Leigh Creek’s commercial deposit in the far north of SA ‘larger than reserves currently located within the Cooper Basin’. Commercial phase and scope for more gas upgrades LCK’s 2P Reserve of 1,153PJ is contained entirely within one of the three coal seams located within the Telford Basin, meaning there is additional opportunity for Reserve and Resource upgrades in the future from the other seams, the company said. The size of the reserve and scope for more certifications at the former Leigh Creek coal mine site means LCK has capacity to enter both the pipeline gas and fertiliser production markets. LCK’s Managing Director Phil Staveley said the company’s gas reserve is large enough to support operating 20 or more chambers in commercial applications for over 20 years. The company is working through negotiations with potential gas buyers for use on the domestic market, while it progresses the scoping aspects of the lucrative fertiliser business case. Proof of environmental and safety credentials. 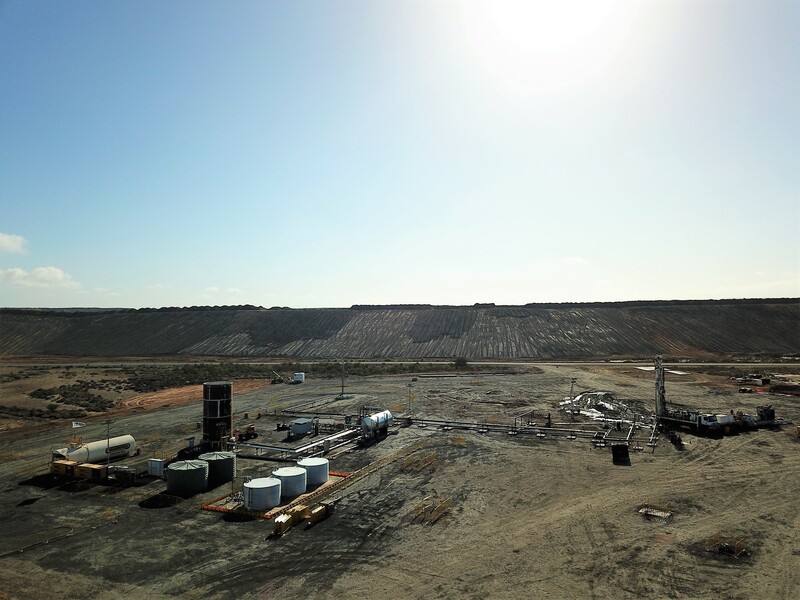 The company’s successful Pre-Commercial Demonstration (PCD) used In-Situ Gasification (ISG) technology to produce all its targeted commercial gases and flow rates from its former Leigh Creek coal mine site. Flows came from a single chamber and were achieved safely and in accordance with the state government’s strict environmental and regulatory guidelines. Mr Staveley said while reserve certification justifies commercial suitability, it is also a hallmark moment allowing LCK to provide proof of how a commercial ISG project can operate safely in accordance with environmental and regulatory guidelines.